Shop online for 20 new-rail model trains at discounts up to 22%. Parts is the most popular of the 4 new-rail model trains categories, then Lighting / Electrical, and Track / Accessories. This is the Universal Throttle Pocket 2 from New Rail Models. Holds Atlas, CVP, Digitrax, Lenz, NCE & MRC Throttles. This is the METAL COUPLER COVER BOXES (12) from New Rail Models. 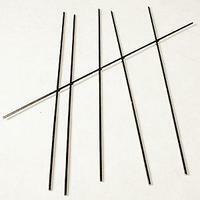 This is the HO Scale WINDSHIELD WIPERS (16) from New Rail Models. This is the UNIVERSAL THROTTLE POCKET 10pk from New Rail Models. This is the Blue Point(TM) Turnout Controller Tension Wire Heavy-Duty .040 Diameter x 5'' from New Rail Models. This is the BLUE POINT TURNOUT CONTROLLER (10) from New Rail Models. This is the FLEX LINK HARDWARE KIT from New Rail Models. This is the FOLDING DRINK & TOOL HOLDER (5) from New Rail Models. This is the BLUE POINT TURNOUT CONTROLLER (5) from New Rail Models. This is the Blue Point(TM) Turnout Controller Knobs Push/Pull, pkg(6) from New Rail Models. This is the Blue Point(TM) Turnout Controller Clamp & Screw, pkg(6) from New Rail Models. 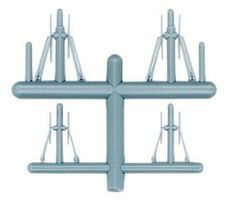 This is the Blue Point(TM) Turnout Controller Clevis (2-56 x 1'' Threads), pkg(12) from New Rail Models. 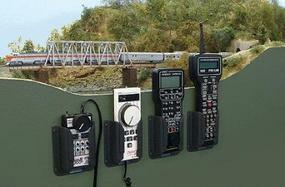 This is the Flex Link(TM) Starter Kit from New Rail Models. This is the Blue Point(TM) Turnout Controller Blue Hold Down & Clamps pkg(20) from New Rail Models. This is the Blue Point(TM) Turnout Controller pkg(10) from New Rail Models. 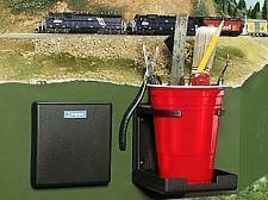 This is the Blue Point(TM) Turnout Controller 5-Pack from New Rail Models. 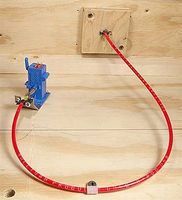 This is the Blue Point(TM) Turnout Controller Drill Template from New Rail Models. This is the Blue Point(TM) Turnout Controller Tension Wire Standard .030 Diameter x 5'' from New Rail Models. This is the Blue Point(TM) Turnout Controller Bracket-Cable, pkg(3) from New Rail Models. 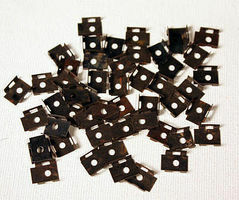 This is the Blue Point(TM) Turnout Controller Threaded Stud, pkg(20) from New Rail Models.